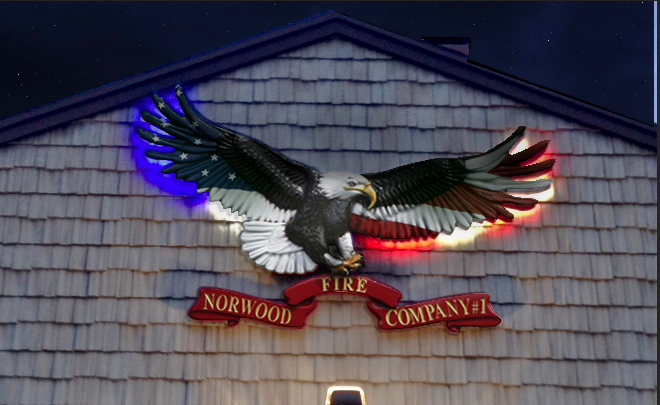 KDF, a full-service sign shop out of Rockleigh, New Jersey made an awesome eagle for the Norwood Fire Company out of Precision Board Plus HDU not too long ago. 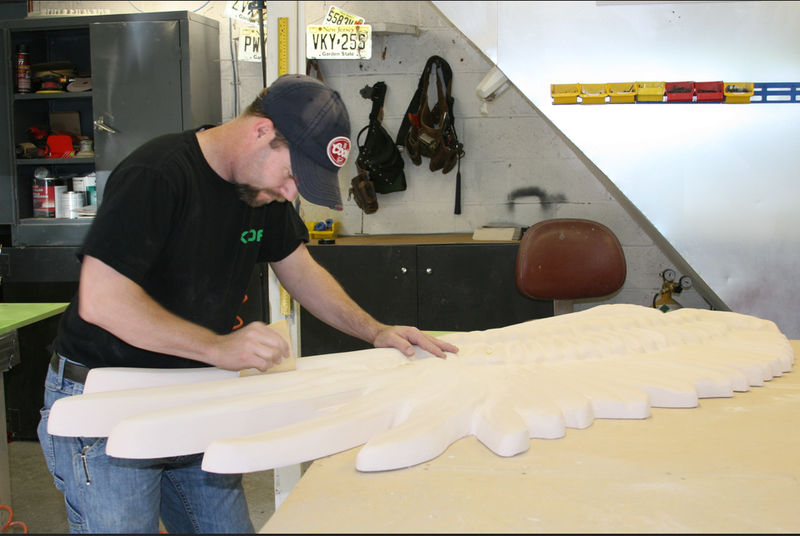 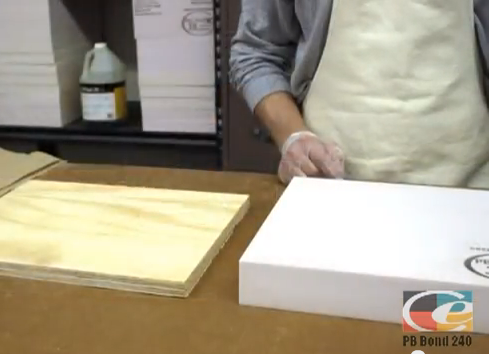 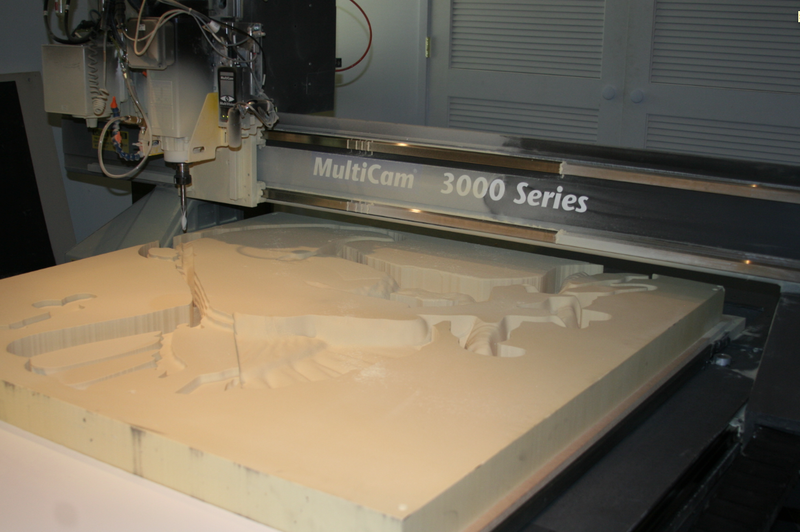 Designed to replace an antique wood eagle that sadly had started to fall apart after miraculously surviving a massive fire, the new eagle is made out of Precision Board Plus. 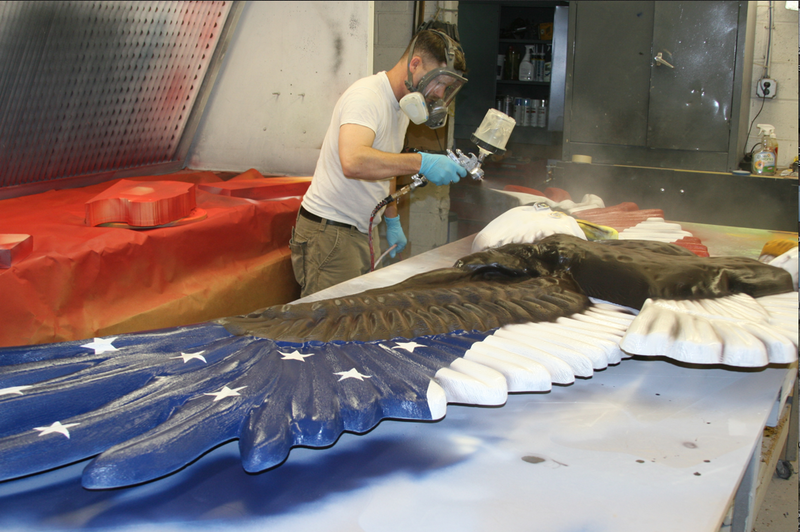 Featuring an impressive array of red, white and blue LED’s, the new eagle is the epitome of elegance at night. 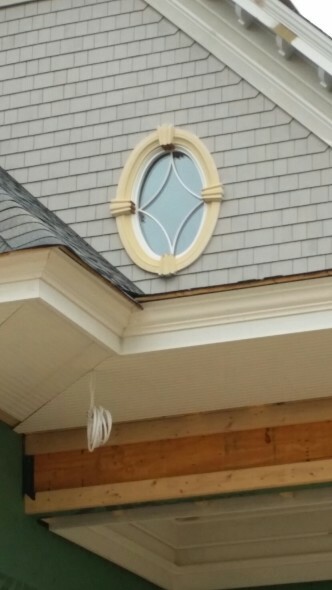 Steve Hoey, owner of KDF was kind enough to send over additional pictures and a video not seen in the excellent Sign & Digital Graphics article from a few months ago. 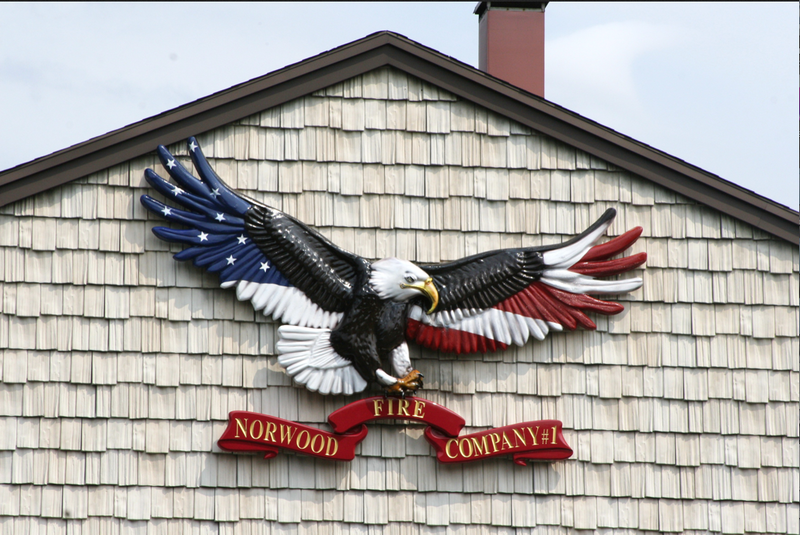 Enjoy the video and pictures and be sure to check out the original magazine article for a full back story on the sign and the story of the antique wood eagle it replaced due to a fire.